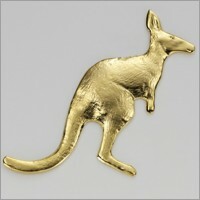 Introducing the wonderful Mood Australia™ range of Australiana souvenirs and charms. Like you, we were tired of seeing those dreadful foreign-made mementos of an Australian holiday. So we put our creative heads together and came up with a quality collection of Australian gift souvenirs you’ll be proud to offer overseas guests. You’re spoilt for choice—the selection includes quintessential floral, faunal and cultural icons that capture all the things we love about our nation. These distinguished gifts and fashion items are finely ‘detail-sculpted’ and cast to perfection in a handsome choice of finishes, right here in our Sydney studio. Of course it’s rude to brag, but we’re just loving our Australian jewellery, charms, stick-pins, tea-caddies, letter openers, money clips and so much more…! 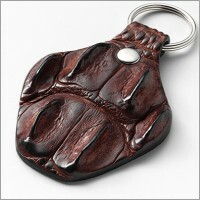 Welcome to our brand new fashion range, featuring an amazing palette of Australian Saltwater Crocodile skin jewellery, souvenirs, charms and giftware. These elegant works are exclusive to Mood and arrive safely presented in a handsome gift box. Our stunning designs are unique and each individual piece is a one-off product, stamped by Nature and refined by Mood.